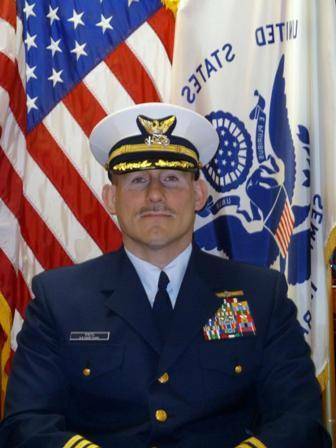 LNG America welcomes Captain George “Joe” Paitl to position of VP Marine Operations and HSSE Compliance. Capt. Paitl is a retired US Coast Guard senior officer who most recently held the position of Commanding Officer and Captain of the Port, Marine Safety Unit Port Arthur, where he oversaw safety, security, law enforcement, and environmental regulatory compliance across a 39,000 square mile area spanning Southeast Texas and Southwest Louisiana; the Port Arthur unit includes the nation's busiest commercial military cargo port, top crude oil destination port, third busiest petrochemical complex, 55% of U.S. petroleum reserves, over 250 offshore drill rigs/platforms, and 180 regulated waterfront facilities. Capt. Paitl brings extensive leadership, executive management, and maritime-related experience to his new role with LNG America. He has extensive knowledge and background in emergency management and response, as well as vessel, facility and port safety, security and environmental compliance, waterways management, and strategic planning.